Transform is an affordable, versatile and contemporary table with straight-on nesting capability in the flipped position. 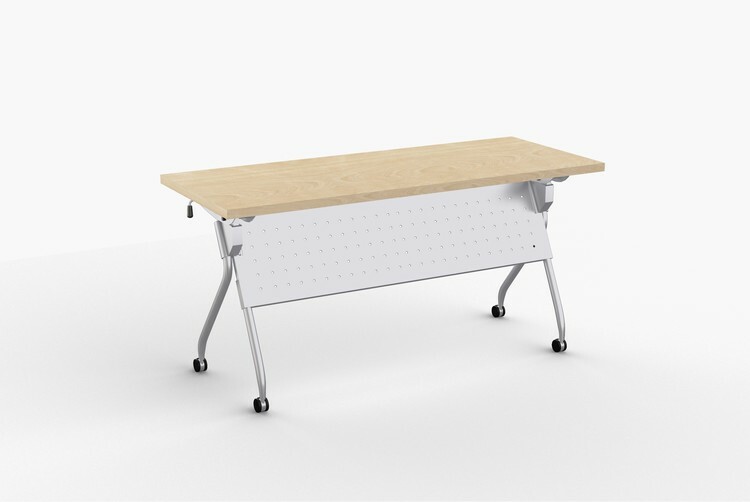 Its light weight materials, casters and one-handed activation allows anyone to flip and move this table with ease. Perforated steel modesty panel is an integral part of the base providing privacy, stability and an elegant look. Continuous heavy duty support beam prevents top from sagging.